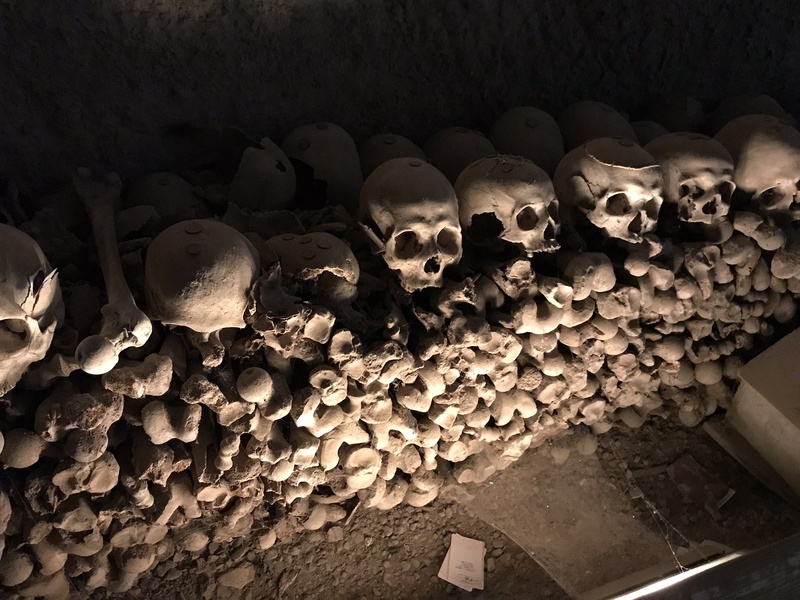 I am a student studying death, so it was not surprising that during a holiday to Naples in Italy, I found myself drawn to death related tourism. On day one I was already visiting a cemetery! 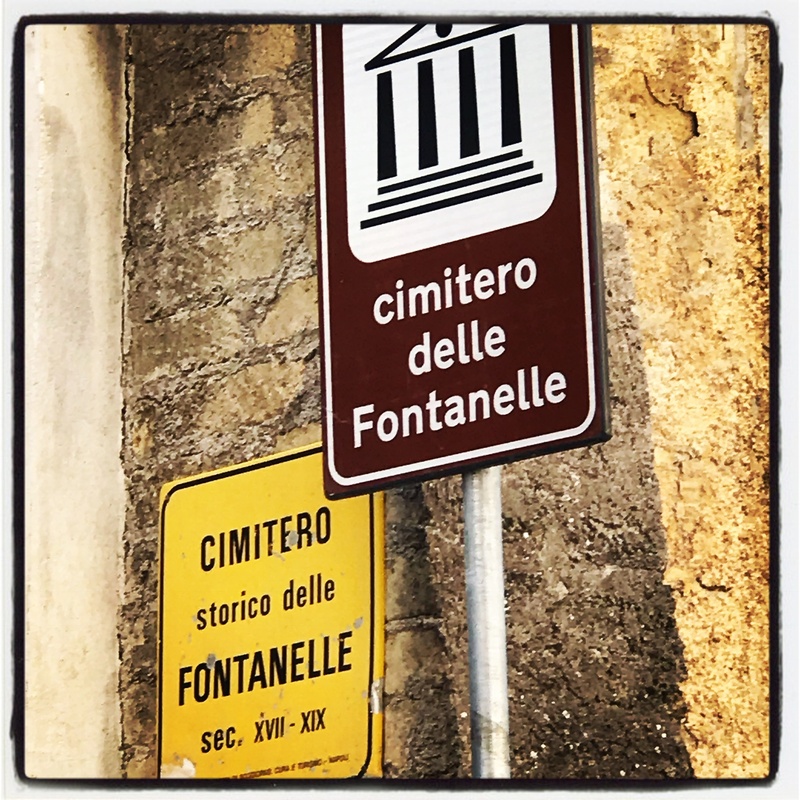 I reached ‘The Cimetero Fontanelle’ via a very exciting taxi journey, the driver, negotiated, narrow cobbled streets, scooters and Sunday morning Italian going’s on, to drop me and my husband at the requested location. Body disposal has always been an issue in society and when a densely populated area is affected by a disease, the problem only increases. The bodies were piled up in the caves. Their religion would have been Catholic, and without being given the traditional ‘last rights’, their souls would have been thought to have remained in purgatory. This gave the caves a reputation for being haunted. This is how the cave looked when I visited it. Helpfully, a smartphone app called ‘ViaggiArt’ allowed me to read some of this information in English. During1872 a priest named Father Gaento Barbati began to try and sort the skeletons into some kind of order. 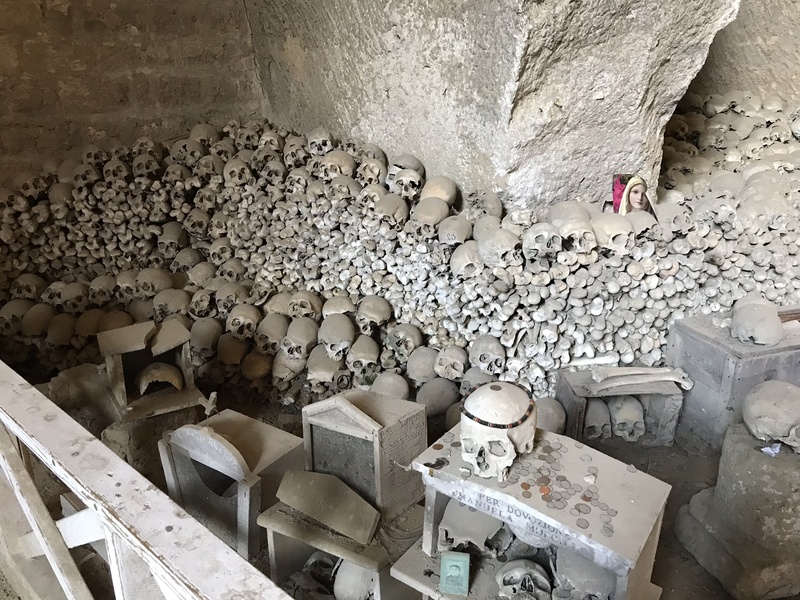 The skulls and bones were sorted by volunteers, and the workers prayed for the deceased as they toiled. 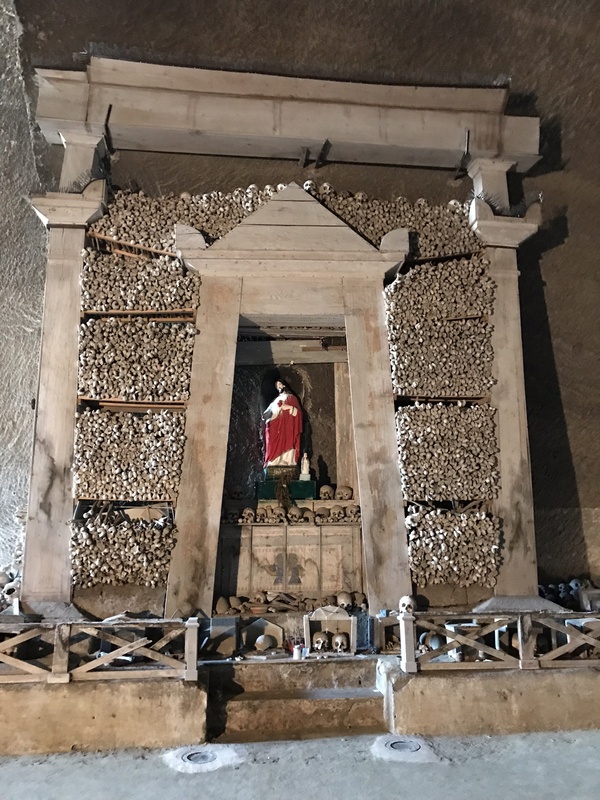 I understood that the workers who were women sometimes named the skulls, creating a relationship with the deceased, and started to worship them. This activity is still clearly something that happens today as you will see in the following images. This type of cult-like behaviour seemed to end when the caves had to be used as a bomb shelter during World War Two. 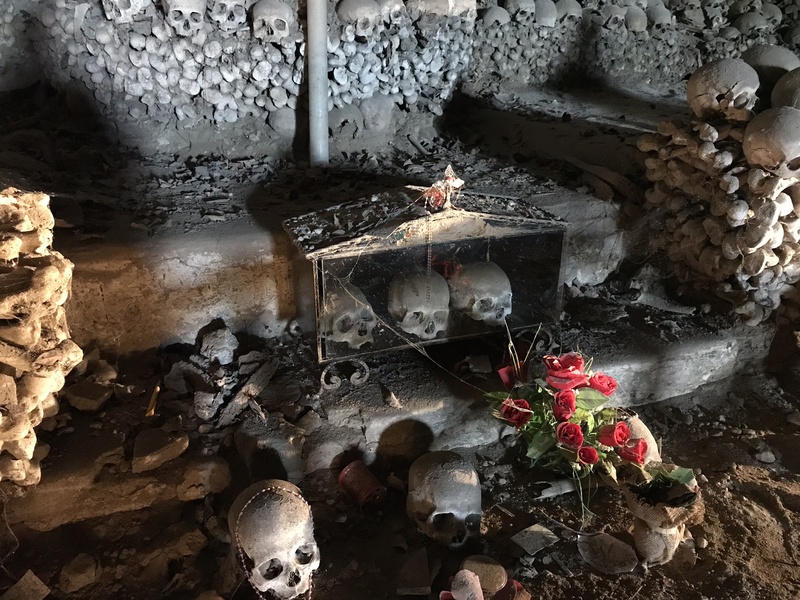 The caves had been used for burial purposes during Greek and Roman civilizations, but in 1969 the Cardinal of Naples ordered the cemetery to be closed, due to concern over the activity of the cult. 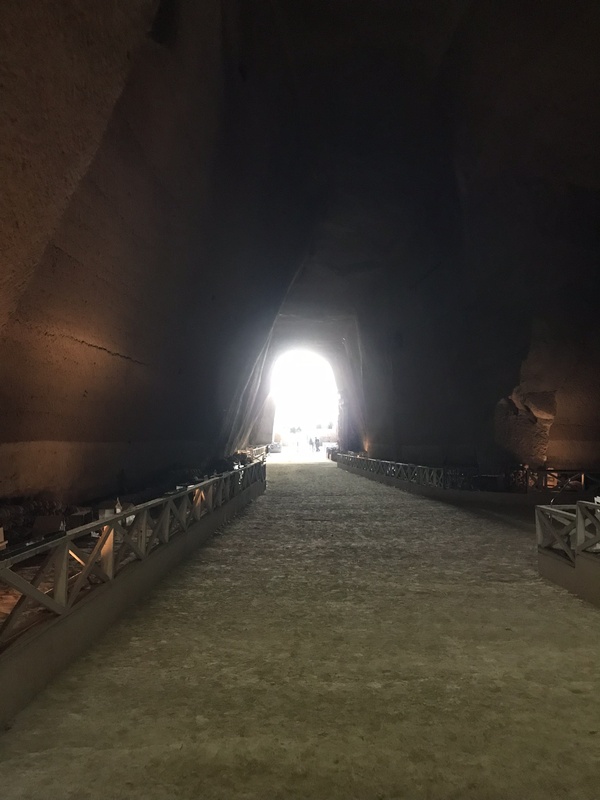 I was delighted to see many Italian children visiting the cemetery at the same time as us, with their families, and taking an interest in death, and the history of this amazing place. The information app has incorporated virtual reality into it so this will appeal to younger visitors. I have a few more pictures below of my visit.